Puppr is an app that helps you train your dog. An App To Train Your Dog (And Yourself)! There’s a lot of information online about how to properly train a dog, but it can be difficult to comb through all of the blog posts and YouTube videos on the topic. Plus, when you’re out working with your dog, it’s unlikely that you’ll be able to search for the right tips on your computer. 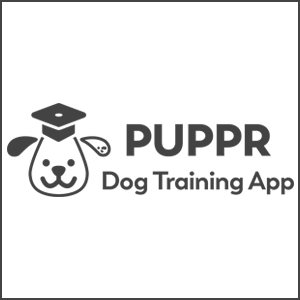 Puppr is an iOS and Android app that fully utilizes mobile technology in order to help owners learn how to best train their dogs. 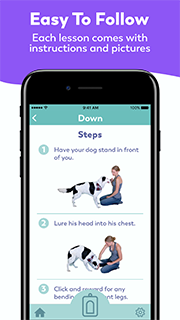 The app focuses on basic obedience—showing you how to train your dog to sit, stay, drop it, etc. If you just got a puppy or adopted a dog, Puppr is the perfect place to start. Puppr also goes beyond basic obedience, teaching tricks such as “roll over” or “fetch leash.” Every lesson has clear instructions as well as informative photos, so you can follow along on the app while you work in real life. 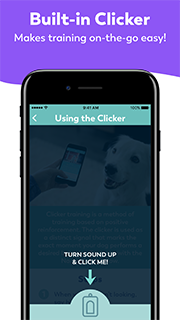 The app also has some smart training techniques built in to its interface, such as a digital “clicker.” Clickers are used by trainers to mark a dog’s correct behavior — and it makes sense that the noise of a clicker could be just as easily replicated in digital form. Puppr also only uses positive training techniques, so owners can be confident their dogs are having fun while learning.